requests for assistance, as well as enforce criminal and traffic laws. We strive to protect and improve the quality of life for the citizens of the county by reducing crime. We work with individuals, groups, agencies, businesses, schools, and others to identify problems and implement solutions. Our effectiveness is directly related to our trusting relationship with the members of our community. 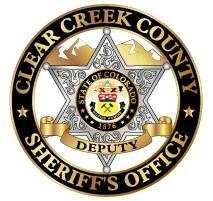 We welcome your input and offer our resources to help keep Clear Creek County a desirable community to visit or reside in.